The Secrets of Animal Magnetism: Now Available! This work is quite interesting; and at this point it takes quite a bit to trip my interest since I read and edit similar works all day. 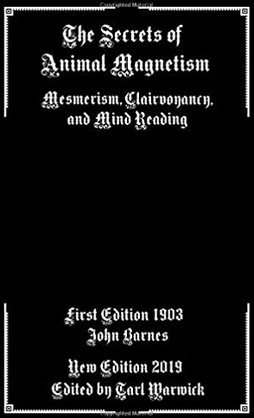 Written at the dawn of the 20th century, it is partly about how to mesmerize (theory and action both) and partly about mind reading and similar topics, but it meanders into the realm of sociology and begins, about two thirds of the way through, to give advice on society and civics in a general sense, as works of the era sometimes did. It should be noted that mesmerism is indeed real; however some of the claims then accepted about it were overblown; it remains medically accepted for a limited number of uses to this day. Author styxhexenhammer666Posted on March 22, 2019 March 22, 2019 Categories UncategorizedTags alternative medicine, books, clairvoyance, hypnotherapy, hypnotism, literature, mesmerism, mind reading, pseudoscience, sociologyLeave a comment on The Secrets of Animal Magnetism: Now Available! 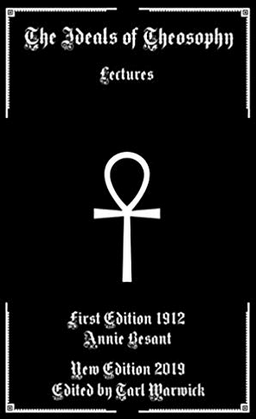 The Ideals of Theosophy: Now Available! This work is quite a notable one, being written by Besant- one of the foremost theosophists of the movement, and once-adoptive mother of Krishnamurti himself. It contains a series of four lectures, two of which are basically about socio-political issues- these two are quite interesting because the criminal and societal reforms spoken of were indeed largely adopted by western nations after this era- for example not trying children as adults in the same legal framework for any but the most significant crimes, and preventative justice of several sorts. While Besant was initially a political activist and socialist she later became interested more solely in spiritual matters; this work represents the step in between the two and shows her interest (waning as it was) in civic matters seeping into her religious philosophy. Works of this type helped to shape modernity in all its forms. Author styxhexenhammer666Posted on February 5, 2019 February 5, 2019 Categories UncategorizedTags adyar, annie besant, books, criminal justice, hinduism, krishnamurti, literature, philosophy, reformism, sociology, theosophical society, theosophyLeave a comment on The Ideals of Theosophy: Now Available! After the Ashes Second Edition: Now Available! This work is one of my own authorship; a page compilation of remarks on survival, philosophy, politics, and planning- it goes beyond the normal survival works which provide lengthy how-to instructions or lists of prepping supplies and delves more into the unorthodox side of nuclear war; for example, while nuclear weapons are terrifying, even worse is that hundreds of nuclear plants would melt down after such a conflict and release massive quantities of far worse radioactive material regionally, poisoning the entire world for centuries. 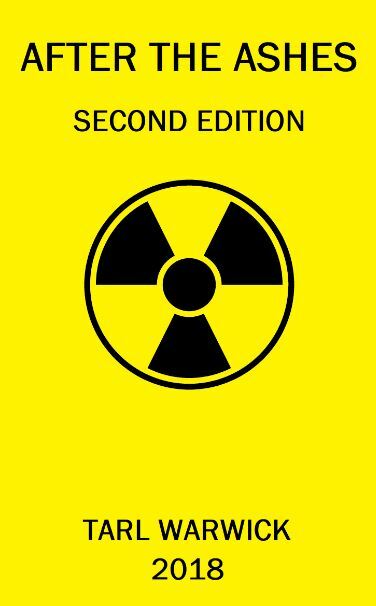 From dealing with corpse removal to decontaminating soil my hope is that if a nuclear war does occur, this guide can save a few lives- maybe even a whole society. Author styxhexenhammer666Posted on June 27, 2018 June 27, 2018 Categories UncategorizedTags after the ashes, armageddon, nuclear war, radiation, sociology, survival guide, survivalism, tarl warwick, warLeave a comment on After the Ashes Second Edition: Now Available!